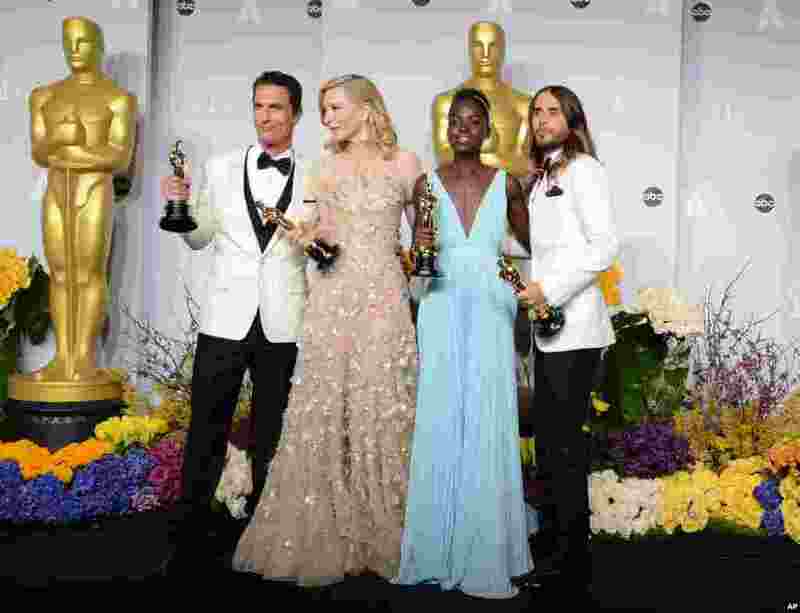 1 From Left, Matthew McConaughey, Cate Blanchett, Lupita Nyong'o, and Jared Leto pose in the press room with their awards during the Oscars at the Dolby Theatre, March 2, 2014, in Los Angeles. 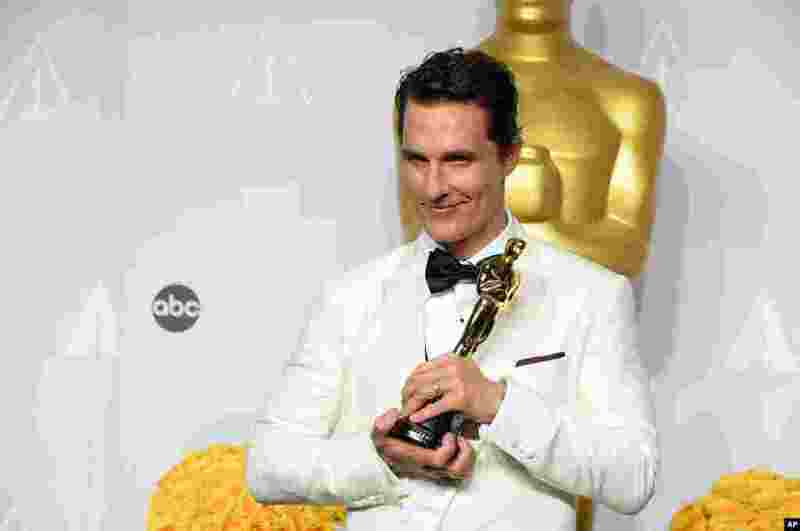 2 Matthew McConaughey winner of the award for best actor for his role in the "Dallas Buyers Club" poses in the press room during the Oscars. 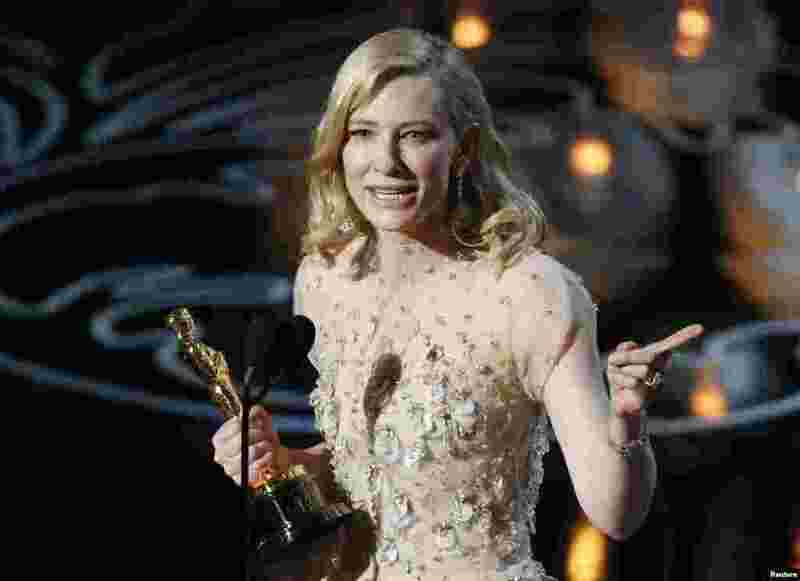 3 Cate Blanchett speaks on stage after she won best actress for her work in 'Blue Jasmine" at the 86th Academy Awards in Hollywood, CA, March 2, 2014. 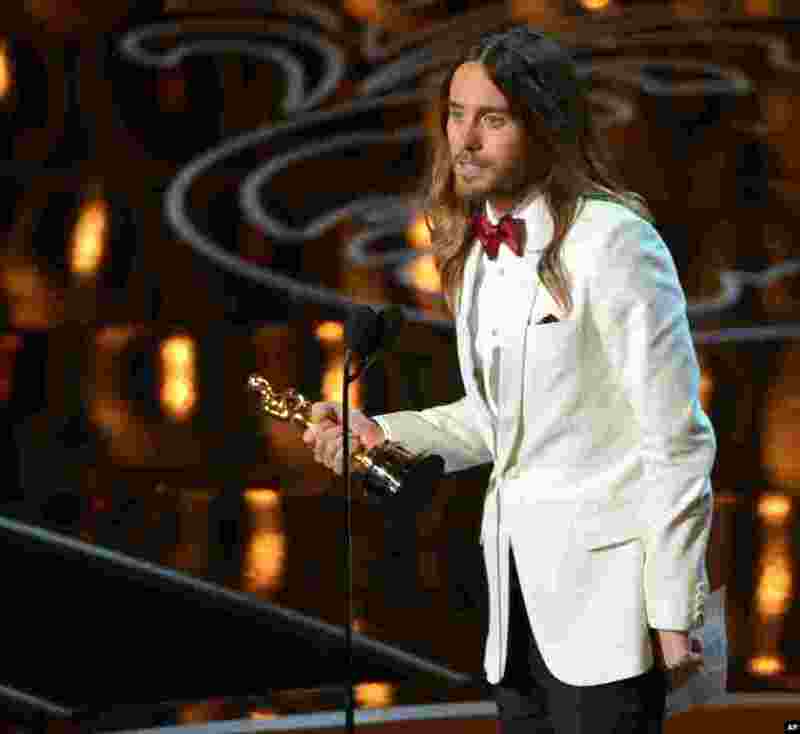 4 Jared Leto accepts the award for best actor in a supporting role for “Dallas Buyers Club” during the Oscars at the Dolby Theatre on March 2, 2014, in Los Angeles. 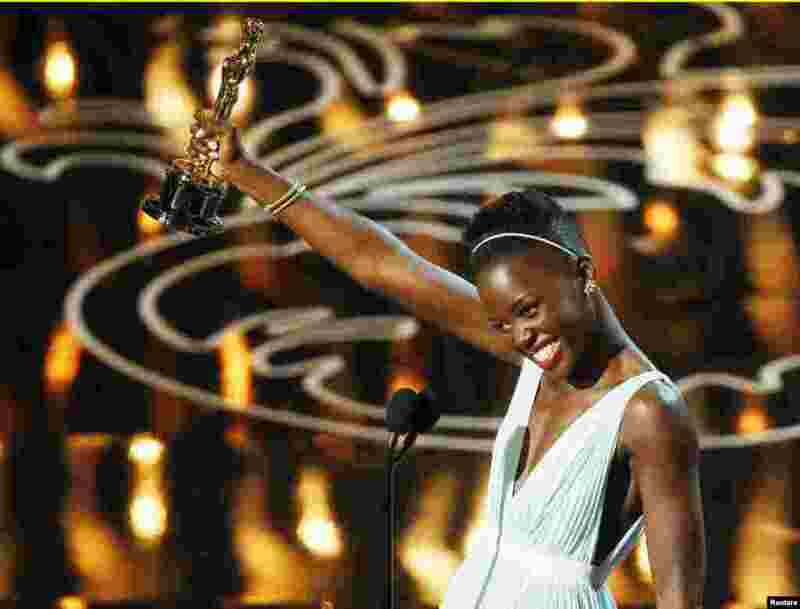 5 Lupita Nyong'o, best supporting actress winner for her role in "12 Years a Slave", speaks on stage at the 86th Academy Awards in Hollywood, CA. March 2, 2014. 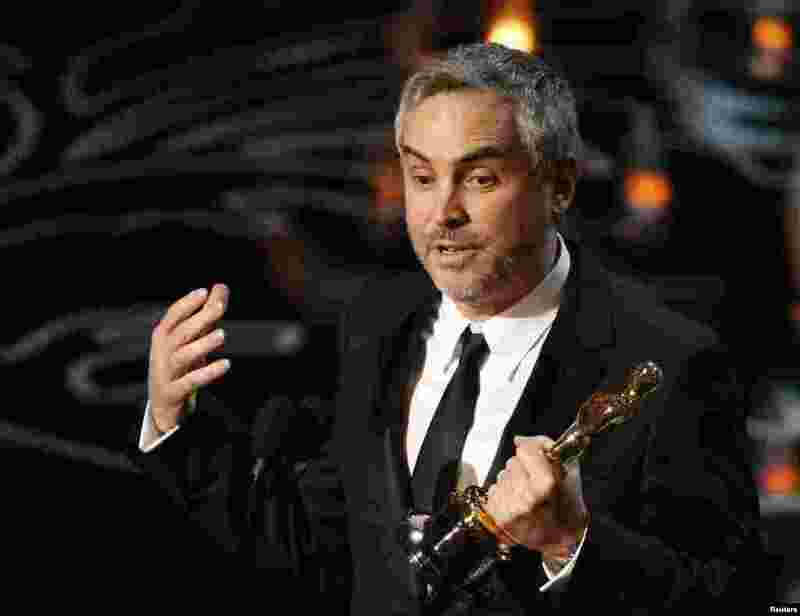 6 Alfonso Cuaron accepts the Oscar for best director for "Gravity" at the 86th Academy Awards in Hollywood, CA. March 2, 2014. 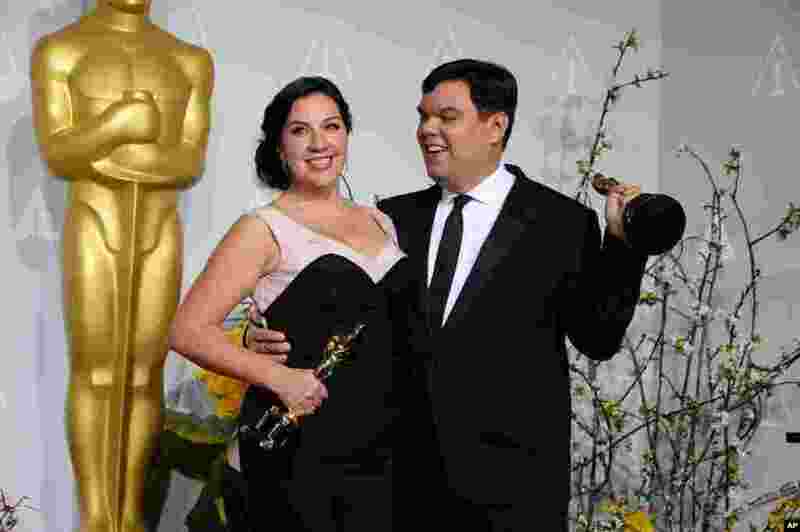 7 Kristen Anderson-Lopez, left, and Robert Lopez pose in the press room with their awards for best original song in a feature film for “Let It Go” from “Frozen” during the Oscars. 8 Paolo Sorrentino poses in the press room with the award for best foreign language film of the year for "The Great Beauty" during the Oscars. 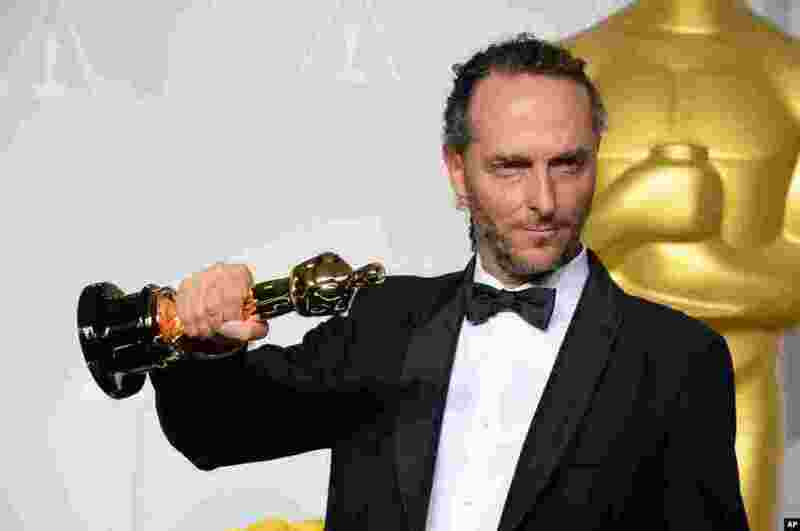 9 Emmanuel Lubezki poses in the press room with the award for best cinematographer of the year for "Gravity" during the Oscars. 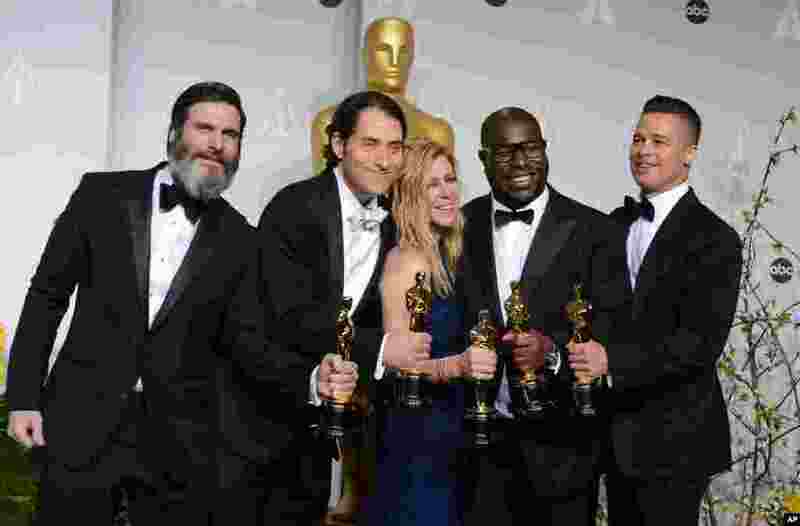 10 Anthony Katagas, from left, Jeremy Kleiner, Dede Gardner, Steve McQueen, and Brad Pitt pose in the press room with the award for best picture of the year for "12 Years a Slave" during the Oscars.